American University's Board of Trustees has named an influential strategy execution and business transformation executive and a retired international relations scholar to its board, the university has announced. The appointments of Maril MacDonald, CEO and founder of Gagen MacDonald, and Mehdi Heravi, were made during the board's meeting on May 17 and 18. 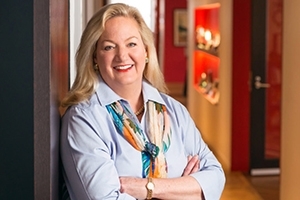 Since founding the firm 1998, MacDonald has led Gagen MacDonald to become a widely recognized industry pioneer in helping large, complex organizations drive business transformation, culture shifts and employee engagement. The Chicago-based firm's clients have included Johnson & Johnson, The Coca-Cola Company, DuPont and Bristol-Myers Squibb, among many others. MacDonald is considered one of the most powerful women in her field. She is the founder of Let Go & Lead, an online community dedicated to new philosophies and strategies for leadership. She serves on the board of directors of the Women President's Organization and is a current board member, past president and chairman's council member of the Arthur W. Page Society. She is a member of the Museum of Public Relations Board of Advisors. She is also the parent of a 2017 American University graduate. Heravi is a graduate of AU with a PhD from the School of International Service. He is a retired political science professor and author of more than five books on political science and international relations. He previously taught at and was provost of the National University of Tehran in Iran, returning to the US after the collapse of the Iranian monarchy in 1979. Prior to his time in Iran, he was a professor at the Tennessee Technological University. Dr. Heravi is actively involved in charity work, including an orphanage in Iran and with causes related to cerebral palsy.